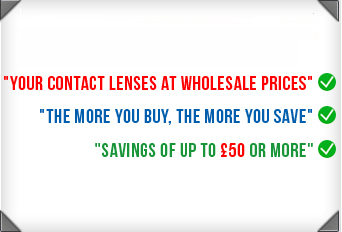 Today the range of contact lenses available in the market is massive. To a newcomer to this field, it can be very confusing. Here we will study the different types of contact lenses which are in use today. Broadly speaking, there are two types of contact lenses in use today. They are, hard and soft. Hard contact lenses: Favored by some even today, these lenses are not popularly used unless specifically prescribed by an optician. Made of hard plastic they are also called Rigid Gas Permeable (RGP) lenses. Even though they are made of hard plastic, they allow the eye to absorb oxygen through their surface which is the reason for their name. There are some advantages to hard contact lenses like crisper vision; they are cheaper that soft lenses and they are more durable. But the disadvantages far outweigh the advantages and so ultimately, soft contact lenses are used in preference to hard lenses today. Soft contact lenses: Soft contact lenses are also made of another type of plastic called "silicone hydrogel" which is named so because it is a combination of silicone, plastic, and water. Soft contact lenses allow gases to pass through their surface more freely. Due to their softness they take the shape of the eye and so give much more comfort to the wearer than hard lenses. Most of the contact lenses available in the market today are soft contact lenses. Disposable contact lenses: These lenses are used much in the same way as we use disposable syringes or surgical gloves. Once removed, they should be discarded and replaced with new ones. The ideal usage cycle is one day (as recommended by the FDA) although some contact lenses can be worn for longer periods. Extended wear contact lenses: Most contact lenses need to be removed before sleeping every night. However, this type of contact lens allows you to wear your contacts for longer periods ranging from 6 days to a month. The period of usage however needs to be defined by the optician and will depend on your individual tolerance to extended contact lens usage. Orthokeratology (Ortho-K) lenses: These are therapeutic lenses which have to be worn for a limited period. The purpose of these lenses is to change the curvature of the cornea to remedy the vision. The prescription of this type of lens is very specialized and used only in special cases. Cosmetic (coloured) contact lenses: These contact lenses are usually without vision correction and are used purely for the purpose of changing the appearance of the eye. They come in various colors such as blue, green, amber, grey and so on. They are also frequently used for theatrical purposes. The market for contact lenses is huge. However, if you have a basic idea of what is available and have a little background knowledge about them, then, it should make the job of buying contact lenses a lot easier.